I have never been one for tattoos and will most likely die never getting one because I don’t self inflict pain on myself or want anything on me I can’t take off, but I still admire those that get them done and believe that some tattoo artist are unbelievably talented. One of those artists is Amanda Wachob. 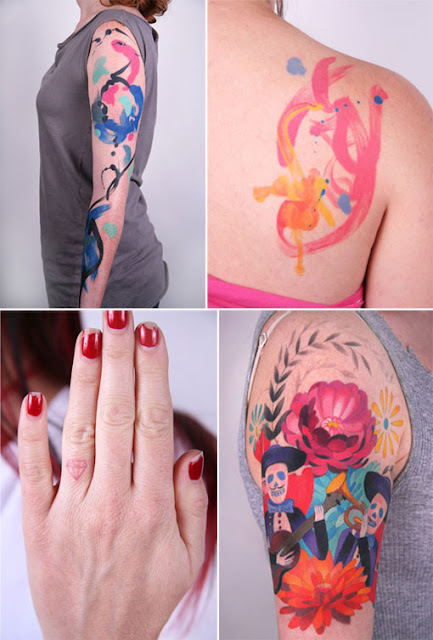 I have never seen tattoos like this that look as if you just walked out of your painting studio and things got a little heated. I love this. Check out the article that Design Work Life wrote on her. Very cool!